When you get pregnant, you’re mind is in overdrive. You are constantly thinking of all the things that you need to buy. I know with my first, I had a list a mile long, maybe two miles if we’re being honest. Luckily, I became a little more practical with my second, and my list was only about 10 things that I needed. A car seat was at the top of my list. Before clothes or anything else, I knew that a quality car seat was of utmost importance. September is Child Safety Month. More specifically though, September 17-23, 2017, is Child Passenger Safety Week. A week dedicated to learning the importance of how to keep your child safe will a passenger in a vehicle. A car seat is the one device that you purchase that literally can save your child’s life. No one wants to believe that they will in an accident. However, the truth is that every 33 seconds, one child under the age of 13 is involved in a crash, according to the National Highway Traffic Safety Administration. Twenty-six percent of children who died in vehicle crashes in 2014, under the age of 8, were not restrained in an age-appropriate device. That is why this is such a big deal. These tragic accidents are preventable. 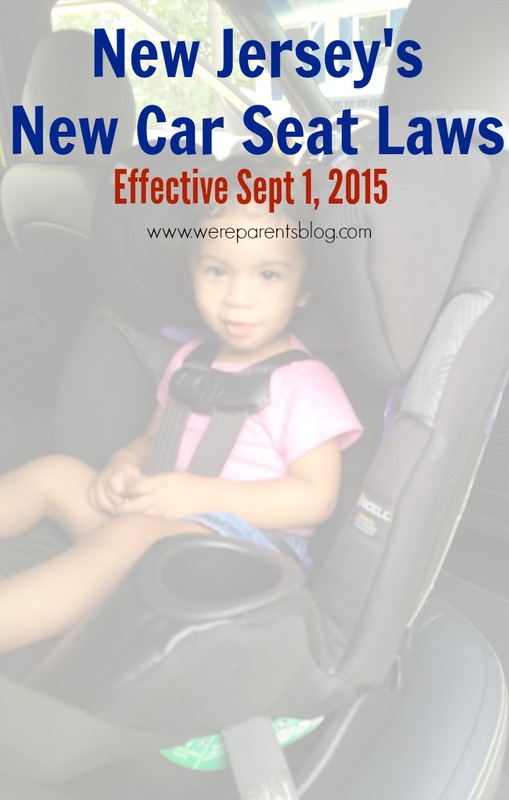 Simply learning how to properly install and use your child’s seat could save their life. 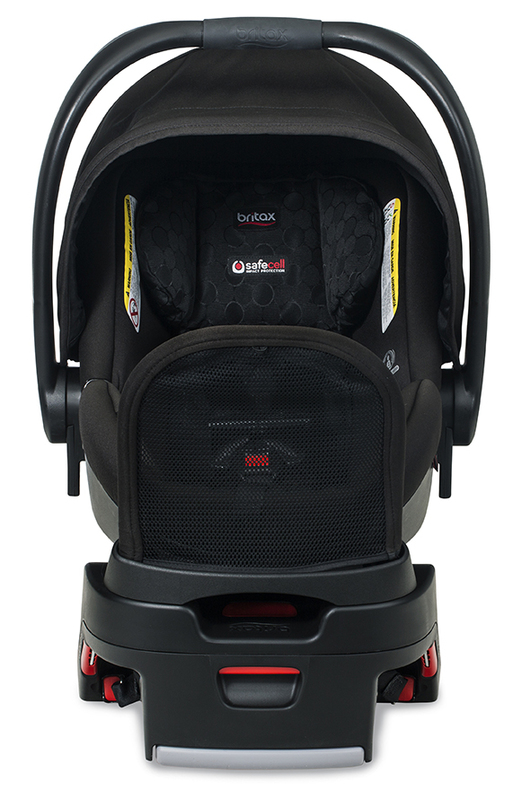 Britax, known to be a pioneer in car seat innovation, is here to help. They are a leader in the industry for both safety and quality. Their drive is to give customers the best quality products to keep your littles safe and secure, in turn giving you peace of mind. In collaboration with Lexus, Britax will be hosting car seat installation demonstrations across the US next week for Child Passenger Safety Week. #TestDriveParenthood is a program intended for families that are growing and making several new purchases, such as a premium infant car seat and a family-friendly vehicle. At each event, brand representatives will be on hand to walk attendees through proper car seat installations, discuss key car seat and vehicle features and provide helpful child passenger safety tips. Kelly Thomas, Britax brand manager, recently said, “by hosting these events with Lexus, another brand known for safety and innovation, we hope to educate new parents in a way that is convenient and supportive to them.” Currently, three out of four children are in car seats that are either installed or used incorrectly. That’s a huge number. Britax and Lexus hope to help parents and caregivers have the information they need for proper installation in an appropriate vehicle. Tuesday, September 19 @ 11 A.M. – 2 P.M.
Wednesday, September 20 @ 11 A.M. – 2 P.M.
Thursday, September 21 @ 11 A.M. – 2 P.M.
We’re giving away one Britax Endeavours Infant Car Seat. No purchase necessary to win, prize value is approximately $299, prizes are NOT exchangeable for cash or other prizes, there are no prize substitutions, prizes will be shipped to US addresses only. Giveaway ends 11:59pm on 9/29/17. Void where prohibited. Must fill out Giveaway Tools form. 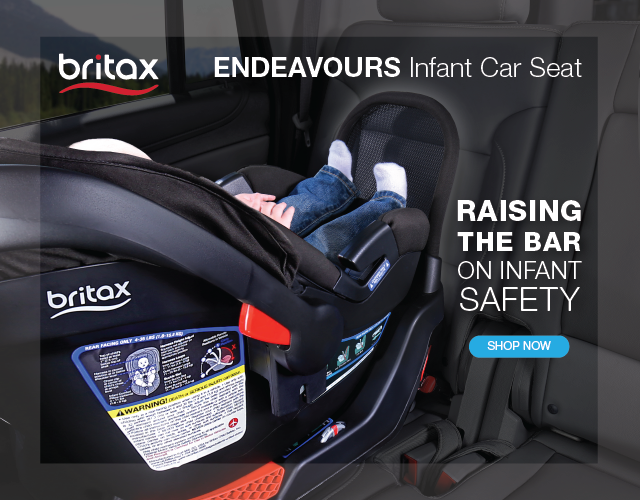 Want to win one of seven (7) Britax Endeavours infant car seats? We’re partnering to give you even more chances to win with She Buys Cars. They are running their own contest and giving away seven more. *Please note we are hosting this giveaway on our site, but We’re Parents is not responsible for the fulfillment and information collection on this giveaway below. Must be 18 or older to enter, US addresses only. No purchase is necessary to win. Void where prohibited. Must fill out Rafflecopter form. I’m trying to win this for my sister! I would like to win this for myself. I’m not sure yet-usually I just use a convertible from birth with my babies, but if I don’t have a friend right at that time that could use it I might use it for our baby due at the end of the year for a while. But usually I end up loaning out a seat or two! Entering for myself and baby that is due in December! 🙂 Thank you! Over 90% of Britax car seats are made in the company’s Fort Mill, South Carolina headquarters, just outside of Charlotte. I would love to win this for myself . My husband and I are expecting our first and would love the best car seat we can get . Hi hoping to win this for baby #2! I would keep this for my little one that is due in January! I would love to win this for my sister-in-law who is expecting her first baby in February! Thank you! I am entering this for a sweet and pregnant friend that would be really grateful for it! I’m entering for my niece! I’m entering this for myself – we’re expecting a new little one! I like that it minimizes rebound rotation associated with crashes by stabilizing your child’s car seat when installed rear-facing.